TREVISO THE ART OF MAKING - CATERING, VILLAS AND ACCOMMODATION FACILITIES - EXPO MILANO 2015 Come and meet companies of Treviso during Expo Milan 2015 The wealth of an area corresponds to its social, economic and cultural value. The economy of a country can be built up from the resources that a land can offer. This is the conviction that lies behind our idea of promoting the economic and productive fabric of the province of Treviso, starting from that discreet, versatile and irreplaceable leading role played by the area itself. Treviso The Art Of Making will draw you into the very heart of the Trevisan economy, guiding you among the most interesting and representative business concerns of a delightful area that is just a stone’s throw from Venice. There are 4 tours covering different sectors and geographical areas, during which you can meet some of the 81,000 entrepreneurs and creators of the finest Trevisan products, whether craft workshops or large local companies, see their products for yourself and experience their everyday life. Treviso is going out of its way for you. The fourth Treviso The Art of Making tour embraces the whole of the province of Treviso, taking visitors to magnificent Venetian villas and top class restaurants. Places that are ideal for holding large events, celebrations and banquets or simply for Sunday lunch and trips out of town are the main feature of this tour dedicated to the tradition of hospitality and the architectural marvels of our land. An invaluable opportunity for those seeking the perfect backdrop for a special day out and for those who love being surrounded by the beauty of magical places, in pure Italian style. Reservation required at least 30 days before. 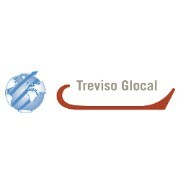 Treviso Glocal promotes the companies of the province of Treviso and the area itself both in Italy and throughout the world. The Chamber of Commerce of Treviso is the majority partner; the other partners are: Confartigianato della Marca Trevigiana, CNA, Coldiretti, Unascom and Veneto Banca. Treviso Glocal’s mission is to encourage business internationalization and to develop production activities as well as tourist hospitality facilities in the province. It is the point of reference for foreign buyers seeking to purchase semi-finished or finished products from enterprises in Treviso. It organises events designed to highlight the municipalities of the province in conjunction with public and private institutions and organisations. It responds to the needs of companies that want to operate abroad, accompanying them through all stages in the internationalization process. It draws attention to the historic centres, manufacturing activities, artistic crafts, typical agri-food products and the whole local economy. It works in compliance with the general guidelines of the relevant regional, national and international community programmes and works together with the duly established bodies, especially with the regional and national Chambers of Commerce.